In a new novel from the bestselling author, a woman discovers that the sister she believed to be dead is alive, with a dark secret. Riley MacPherson has spent her entire life believing that her older sister, Lisa, committed suicide as a teenager. It was a belief that helped shape her own childhood and that of her brother. It shaped her view of her family and its dynamics. Losing Lisa influenced her entire life. Now, more than years later, Riley's father has passed away and she's in New Bern, North Carolina, cleaning out his house when she finds evidence that what she has always believed is not the truth. Lisa is alive. Alive and living under a new identity. But why, exactly, was she on the run all those years ago? What secrets are being kept now, and what will happen if they are revealed? Soon Riley must decide what the past means for her present, and what she will do with her newfound reality. As she works to uncover the truth, her discoveries will put into question everything she thought she knew about her family--and herself. 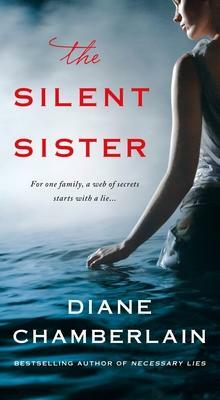 Told with Diane Chamberlain's powerful prose and illumination into the human heart and soul, The Silent Sister is an evocative novel of love, loss, and the bonds among siblings. DIANE CHAMBERLAIN is the international bestselling author of over twenty-three novels, including Necessary Lies and Pretending to Dance. She lives in North Carolina with her partner, photographer John Pagliuca, and her shelties, Keeper and Cole.